Over the past few months, I have been busy visiting schools talking to girls about why they should join our After School program. From back-to-school nights, open houses and lunchtime recruitment, I have the Girls in the Game elevator pitch down to a science. “Why isn’t there a Boys in the Game”? This question usually comes from a joking third-grade boy or a smiling teacher passing by who doesn’t mean anything by asking it. It’s a question that can be easily answered by years of data and studies. Instead of thinking of those things, I find myself instead reflecting on all the opportunities, experiences and life lessons I have received from being in all-girls spaces and how important those spaces were in shaping who I am today. 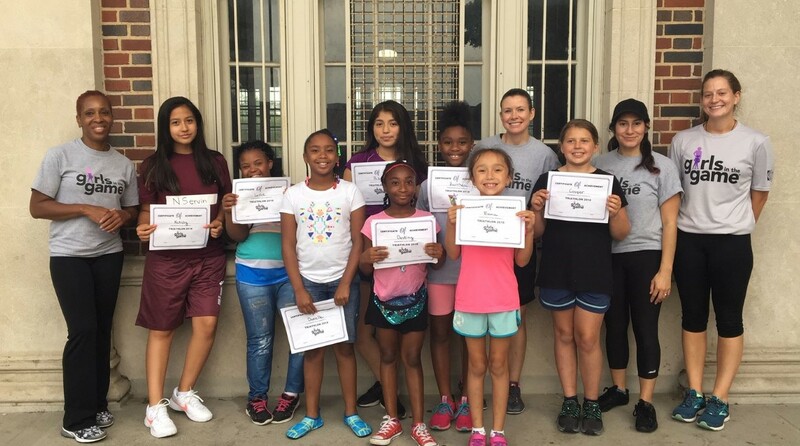 For me, these all-girl spaces usually involved some kind of sport or physical activity. I grew up playing basketball and learned very early on that you have to be confident and loud to be a good player. Your team has to hear you call that play from down the court, and you have to commit fully to any pass you make. By playing soccer I saw how different talents and abilities can come together to form a very successful team. I built my grit and resilience from rugby. It’s a very physical sport and you have to be prepared to be tackled over and over again then get right back so that your team can keep moving down the field. Volleyball showed me that good communication is the foundation for any team and that whether you win or lose, you’re still a team that relies on one another. 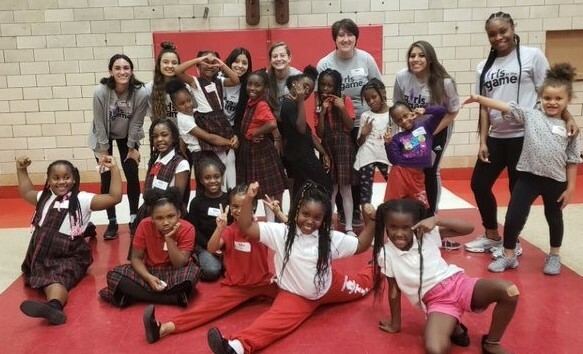 So, long story short, I wish I could just show everyone who questions the necessity of all-girl spaces some of the girls I see each week in our After School program. Every day I see girls show amazing leadership skills by teaching others how to hold a lacrosse stick or kick a soccer ball. I am constantly in awe of the confidence and strength shown by those girls who speak from the heart about their own experiences with bullying and peer pressure. If those stories alone wouldn’t convince you, then the smiles and laughter very often seen and heard at a Girls in the Game program should. They are evidence enough that all-girls spaces are essential to shaping the next generation of girls. Learn how you can help provide a safe space for girls to grow and build confidence through our After School appeal.